In-mast main furling systems are great and some simple checks before construction will keep them working properly and maximise their life whilst minimising any loss of performance. For an in-mast mainsail to furl correctly the clew is raised in line with the mast manufacturers recommendations. This will prevent the foot tape from furling at the same level and rubbing on the mast. Sailcloth selection is vitally important. Using a sailcloth with high tenacity threads means the sail is less likely to distort under the load experienced when furling. High end polyester fabrics can cope but with time they lose their finish and become less able to withstand the stresses caused by furling. More recent materials such as Vectran or Hydronet offer the sailmaker the opportunity make lighter and less bulky sails which hold there shape better without comprimising strength. The reduction in bulk is key to easier furling and the reduced friction reduces the strain on the foot area resulting in a longer lasting sail. Typically, the patching on in Mast mainsails is kept light to reduce build up at the head and tack. However, cloth selection here is also import. 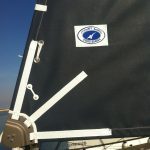 The patches need to be strong enough to support the loads experienced at the corners allowing the sail to furl neatly into the mast section without being too still or springy. If the patches are too stiff they will increase the load required to furl whilst if they are too springy they can expand inside the mast section making unfurling more difficult and possibly leading to the sail jamming as it exits. 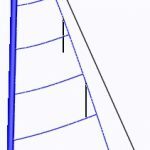 Clew patching has less effect on the volume of the furled sail however there are still several considerations to be taken into account when designing the clew finishing. As this part of the sail will be exposed to the sun at all times it is good practice to protect the sail by adding an ultra violet resistant cover on both sides. This is designed to just enter the mast at the end of the furling. The decision over the outhaul connection is also crucial and typically at Moatt sails we typically fit an integral clew block with a large sheave to produce a neat finish with reduced friction. There is a fundamental issue when trying to roll a three-dimensional sail onto a two-dimensional foil. During the furling process the fullness of the sail is forced backwards and the sail becomes increasing deep as the area reduces. To compensate for this In-mast sails are cut with less camber when compared to a standard sail. A standard in mast roller furling mainsail is designed with a hollow leech profile. 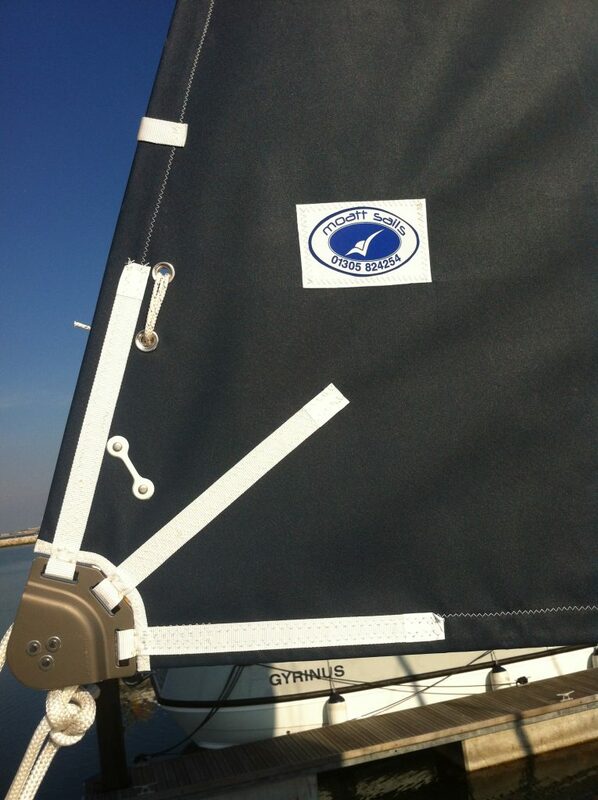 This can reduce the sail area by up to 15 % when compare to a standard mainsail with a normal roach. Many sailors are happy to accept this loss of area in favour of simplicity and reliable furling. However, modern materials can allow the sailmaker to reliably add battens which support a roach similar to that of a standard mainsail. When specifying battens there are a couple of options for the boat owner to consider. First, please be aware that the size of the mast section has a bearing. Some mast cavities are simply not large enough to accommodate the extra bulk nor are the openings wide enough. Secondly, adding battens does mean that controlling the outhaul during the furling process is more critical to ensure the furl parrallel to the mast. So, if you mast is large enough and you can control your outhaul, there are two options when it comes to installing battens. 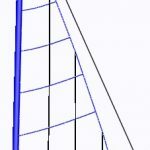 Short vertical battens can be very effective at supporting roach and will allow the sail area to be increased to within 5% of a standard sail. Full length battens will allow a similar amount of roach to be added as the short battens and, by adding tension across the surface of the sail, they act as a support to the cloth thereby reducing the amount of flogging experienced during furling and general use. This gives use the option to reduce the base cloth weight which helps to offset the extra weight of the battens and pockets.